For a private event to remember, consider The Portico Library. Our atmospheric spaces can be hired for a variety of functions such as drinks receptions, presentations and book launches, as well as filming and photography shoots. 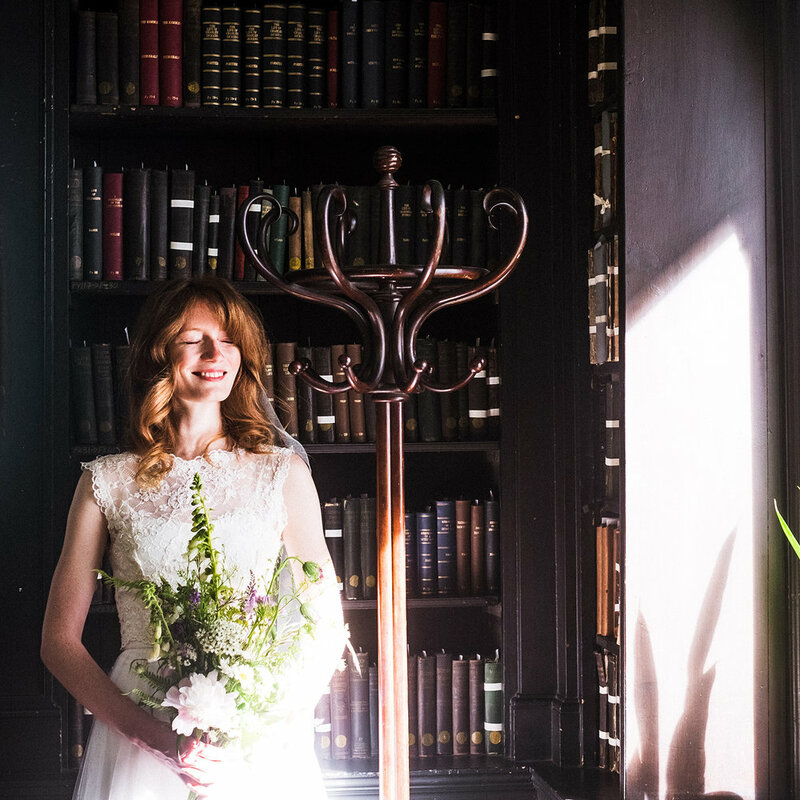 The Portico Library is a perfect venue for an intimate wedding celebration. Its grand and enchanting rooms are steeped in over 200 years of history and culture. Ceremonies can be held in the Main Library (up to 50 guests) or the Reading Room (up to 25 guests). The Portico Library has provided the perfect setting for numerous film, television and photographic projects. Whether you're looking for impressive interiors, literary ambiance or historical backdrops for period pieces, the library might have the perfect spaces for you. It's hard not to be impressed by the beautiful rooms and fascinating history of The Portico. These qualities can add something really special to your celebration, reception or presentation. The open space beneath the dome also accommodates seminars and meetings. Standing events have a maximum capacity of 100 people. Get in touch to discuss other options and we will guide you in creating the special event that you envisage. To discuss our different venue hire services and request a quote please call on 0161 236 6785 or send us an email.